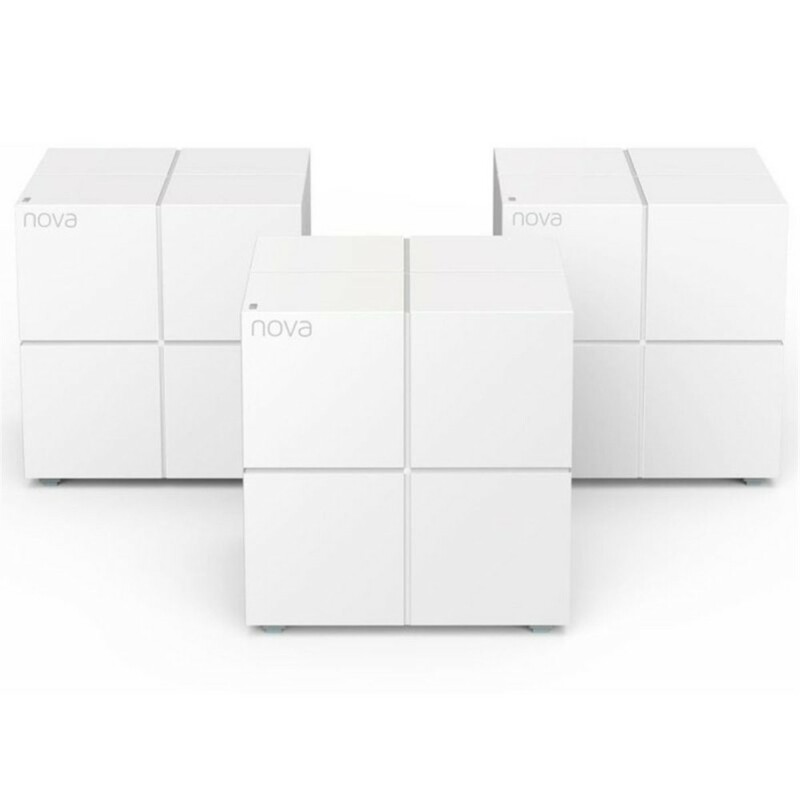 As our most cost-effective mesh WiFi system, the Tenda Nova MW6 is the perfect starting point for those just discovering this new technology. However, even advanced users will find that the Nova MW6 holds its own against more expensive models out there. 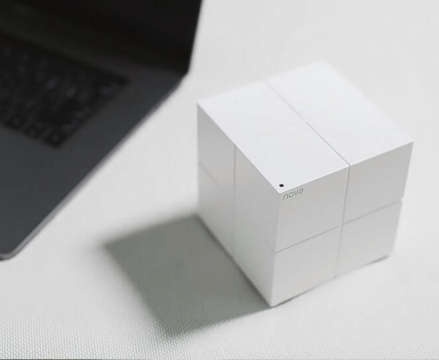 With a neat Rubix-cube-style design, it undoubtedly looks the part. Performance-wise, it offers excellent connection speeds across your whole home, eliminating blackspots and letting you take full advantage of modern broadband speeds. 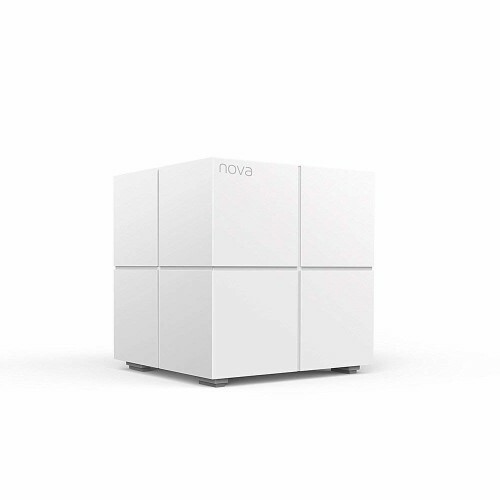 Although small in stature, the Tenda Nova MW6 provides powerful WiFi coverage across your entire home. 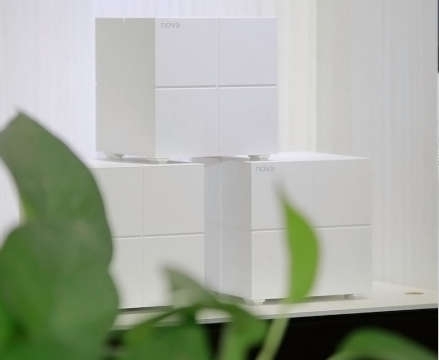 Using a twin-band signal, you’ll be automatically switched to whichever unit will give you the fastest connection, wherever you are. This is achieved without any drop-off in connection, too, so you are free to roam around the house and stream to your heart’s content. 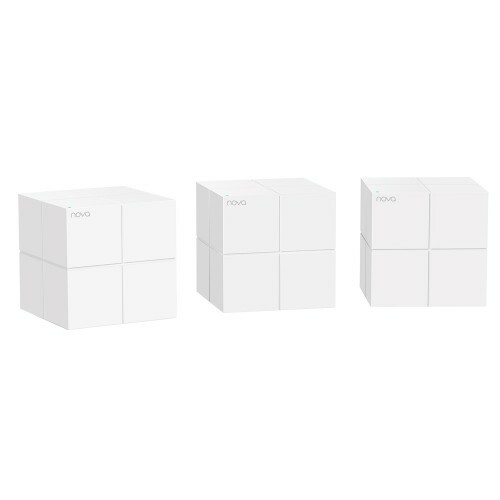 This three-pack provides impressive coverage- up to 6,000 sq ft- making it more than adequate even for larger homes. The Tenda Nova MW6 certainly stands out from other mesh WiFi units, thanks to its unique design. Similar in appearance to a Rubix cube, there’s no need to tuck the MW6 out of sight. Instead, it won’t look out of place in any modern home. 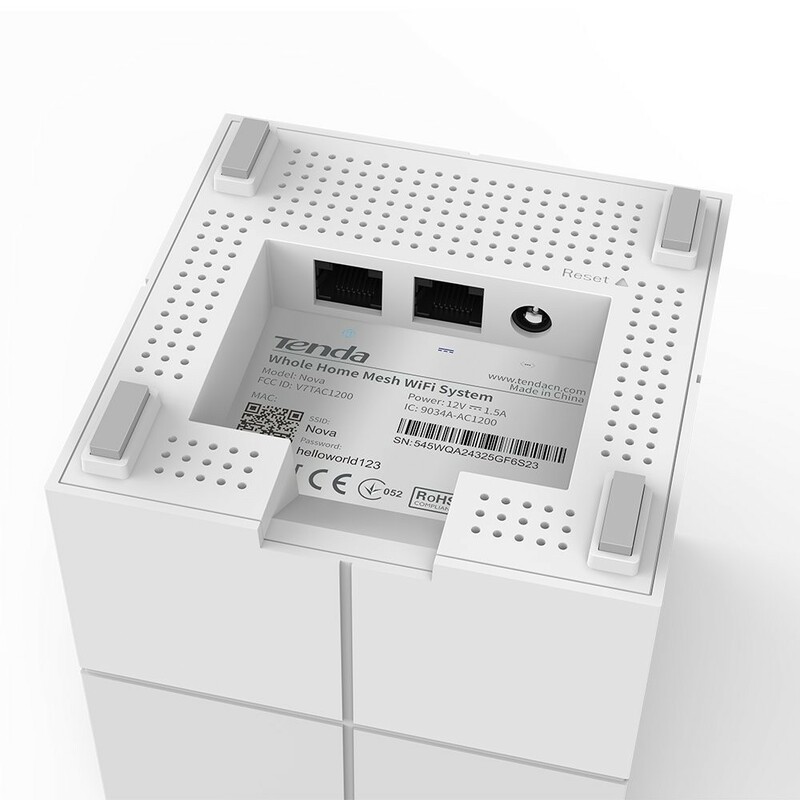 What’s more, Tenda have also paid close attention to the unit’s connection ports. Instead of leaving wires sticking out, the ports- as well as the power socket- are tucked away within the underside of the MW6. That helps to keep things clean and uncluttered, and makes for the perfect finishing touch to an already beautiful piece of design work. The setup for the Nova MW6 genuinely couldn’t be simpler. 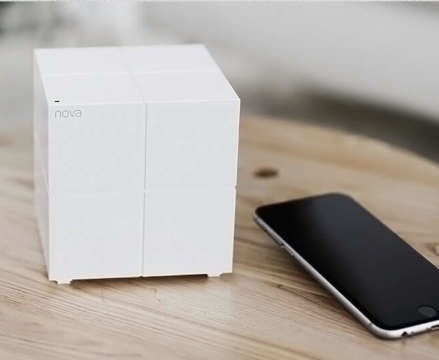 Like most other mesh networks, it’s all done through a free smartphone app. However, the Tenda app works a bit differently to most. You just have to plug the first unit in and scan the QR code on the bottom, and the app will take care of the rest. All units in each set come pre-paired to each other, so the hard work is already out of the way. 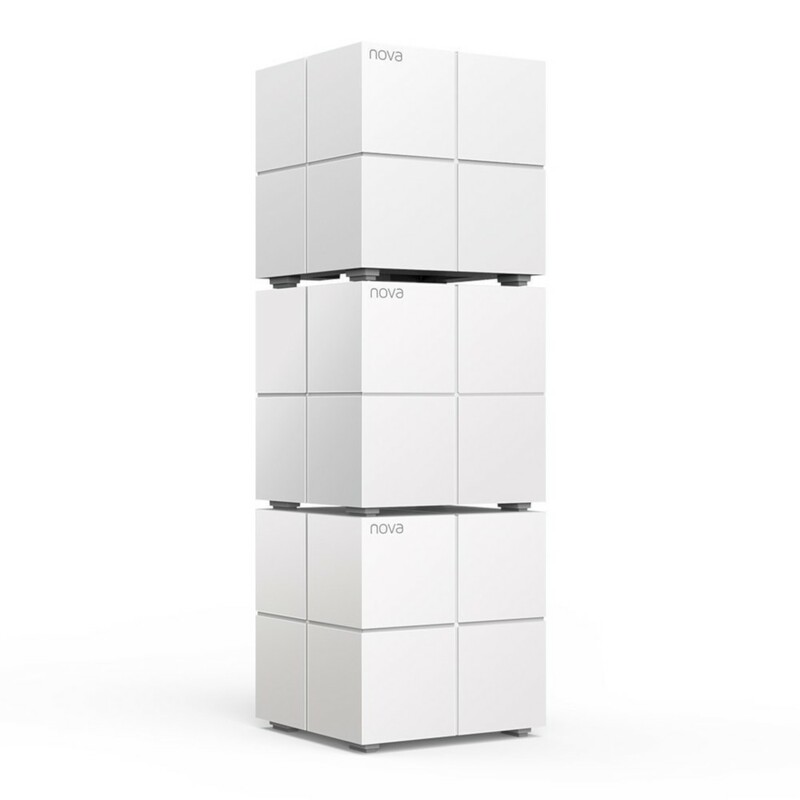 With that initial unit connected to the internet, all that’s left to do is position the rest around your home or office. Luckily, the LED on the top of each MW6 shows you the signal strength at a glance, making setup that much easier. The Tenda app does more than just set up your mesh WiFi. Once everything is up and running, it also allows you to take complete control over your network. In particular, the parental controls can really come in handy. These allow you to control which devices can access which sites, so that your kids aren’t viewing inappropriate content, or set times of day when the internet is off-limits- ideal for keeping them focused on their homework. 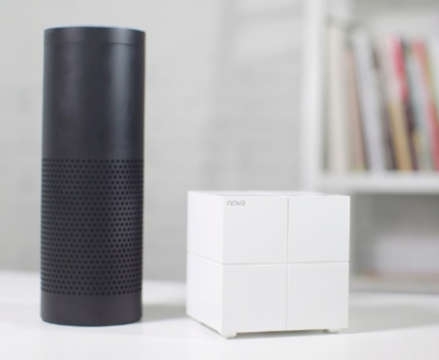 The app also lets you set up guest WiFi networks, too, so you can let visitors access the internet while still keeping your home network private and secure.